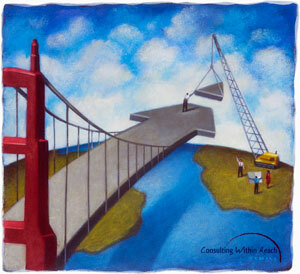 We are a partnership of funders, nonprofits, and a leading consulting firm in California. We advance innovative and collaborative strategies to build the organizational capacity of key nonprofits. For its most recent initiative, the Capacity Collaborative is funding coaching for 10 development directors that are new to their roles. The Collaborative is addressing one of the most persistent complaints voiced by EDs: boards that don't fundraise. The California Community Foundation and the Collaborative worked together to complete a series of capacity building projects. The Jumpstart Consulting Initiative seeks to catalyze the efforts of 10 nonprofits to build their individual donor base. The Collaborative is launching an initiative to help nonprofits achieve more fundraising impact from their current data.